It definitely isn't the biggest problem I could have, but I feel it's one so many people struggle with at this time of year! I thought I'd use this space to write down some of my thoughts in the hope it could help me and others. I know my biggest interests currently lies in the beauty and fashion world. Fashion marketing and management appeals to me as it combines creativity with business skills. Currently, I am studying graphic design and this kind of course allows me to continue with these digital skills but in my area of interest. 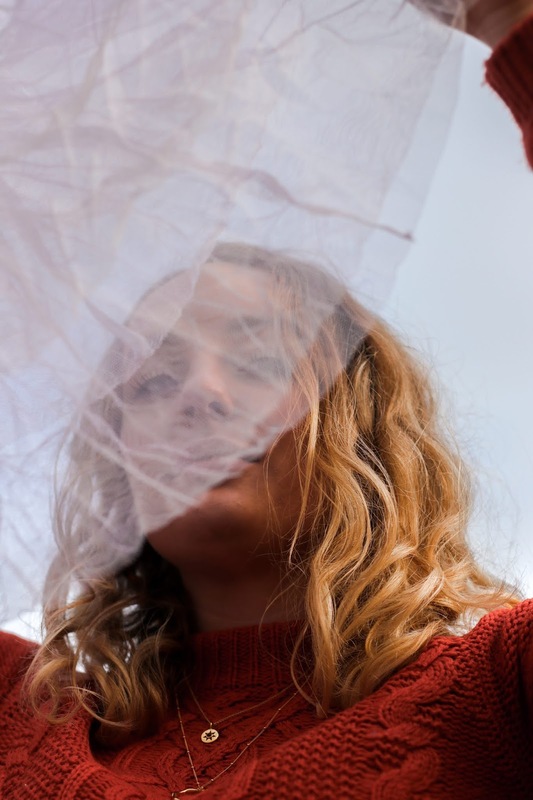 The Beauty Promotion course at Southampton Solent also appeals to me as its it mixes design with writing, a big focus being on promotion and editorial design. Ok so I know just about what I want to study, so where should I go? 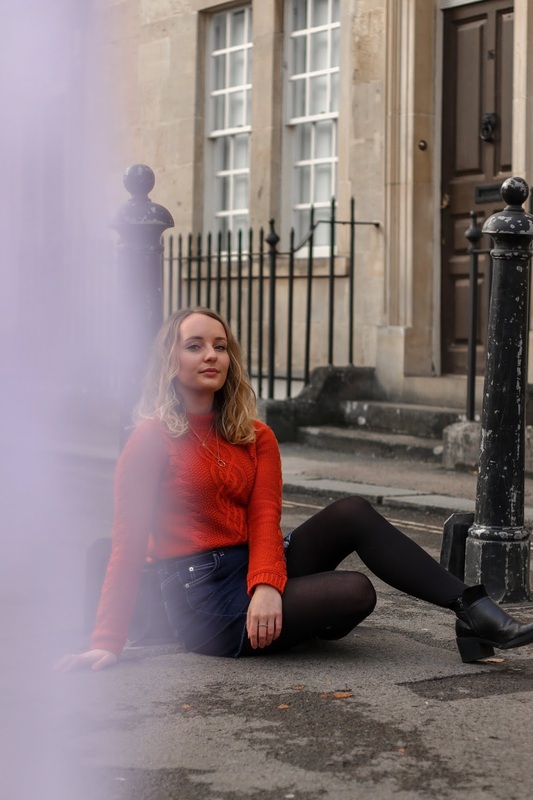 A course that massively appeals to me is Fashion Marketing and Management at Bath Spa. It is one of my local universities, meaning I could commute from home. Which, lets face it, will save me a LOT of money! Plus, as you go further through the course it becomes more and more adaptable to you and what you want to learn. Great for someone as indecisive as me. I love this idea and then I always have an internal debate with myself about whether I'd massively be missing out by not moving away and getting the 'full uni experience' as people say? Now, I'm not even talking travelling around the world to have a 'life changing experience' or anything (because can I afford that? No). I alway wonder whether I should take a year to intern, earn some money from part time work and take a break from education. It sounds fab but I worry I will never go to uni if I do or just feel after I wasted a year putting off the inevitable. Or, it could make me feel so much more prepared for university life! Having wrote all this down, I feel better already. Who knows where I will be in a year when I look back at this (probably laughing at how worried I was over what will feel like nothing;)). And, I know my query is nothing compared to what life could throw at me, but I like to use this sight as a place to share how I feel in hope I can help others, and make myself feel a bit better also;). I think if your are struggling with this, a small piece of advice would be to cover your bases: apply, get a space, you could wait a year to go and maybe get some experience in the meantime to help you figure out what you enjoy! Are you planning to go to university or have you already been and how did you find it? Ok so it's less then two weeks until Christmas day and I am yet to finish all my shopping. 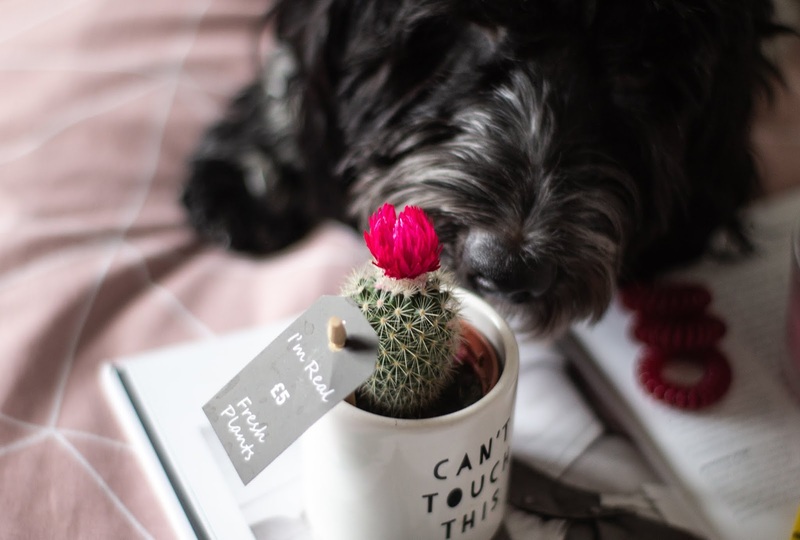 I am probably not alone so thought I would put together a little gift guide of small, affordable gifts to get a friend or family member. I think when searching for the perfect gift, I sometimes overlook the simple things, so that is basically what this guide is full of! I think all of us feel we could be more organised, so why not treat someone to a new notebook or planner?! 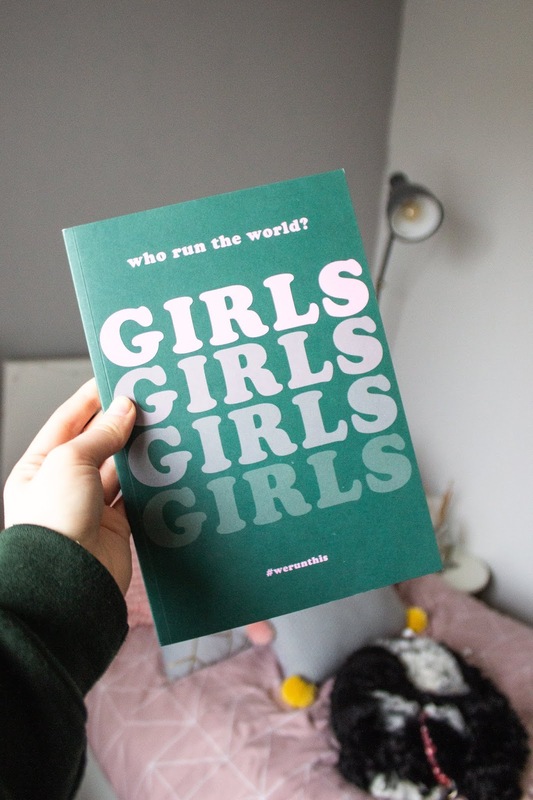 I love this one from Paperchase which is perfect for the female friend in your life. 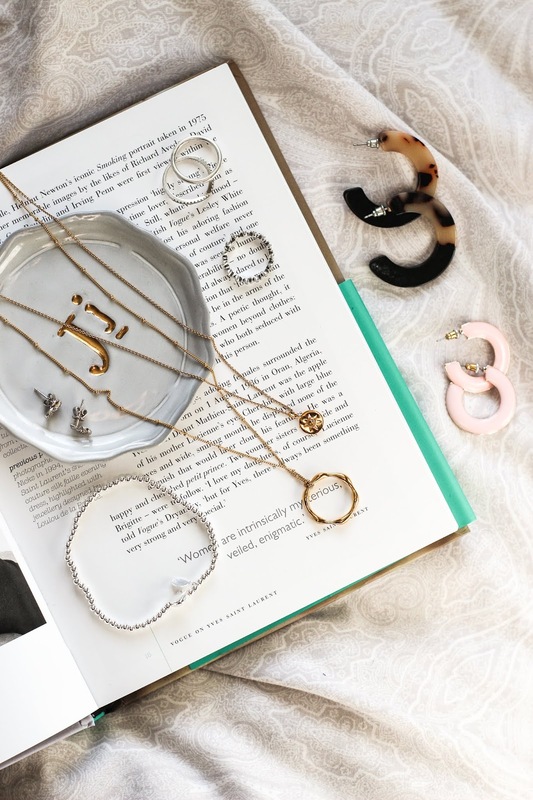 They stock everything from planners, to themed journals to the cutest photo frames so if this one isn't your cup of tea, definitely get yourself to a store or browsing their website. 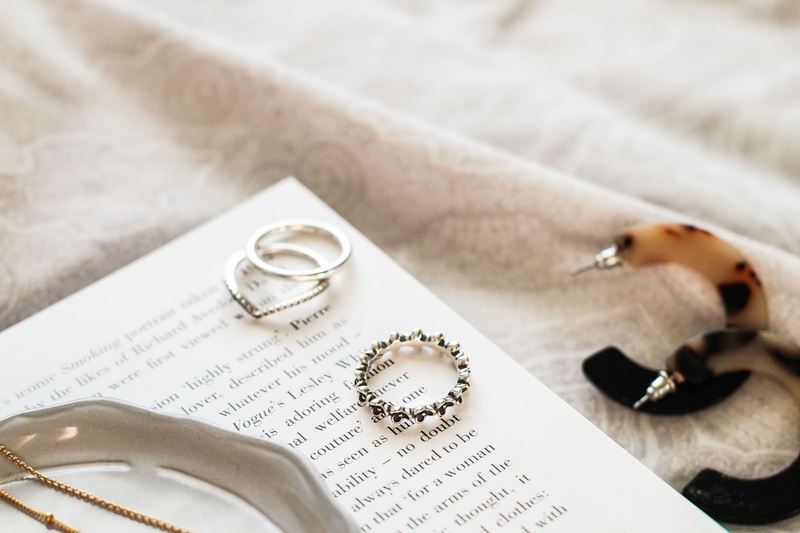 I'll be linking some of my other favourite stationary places at the end of this post! 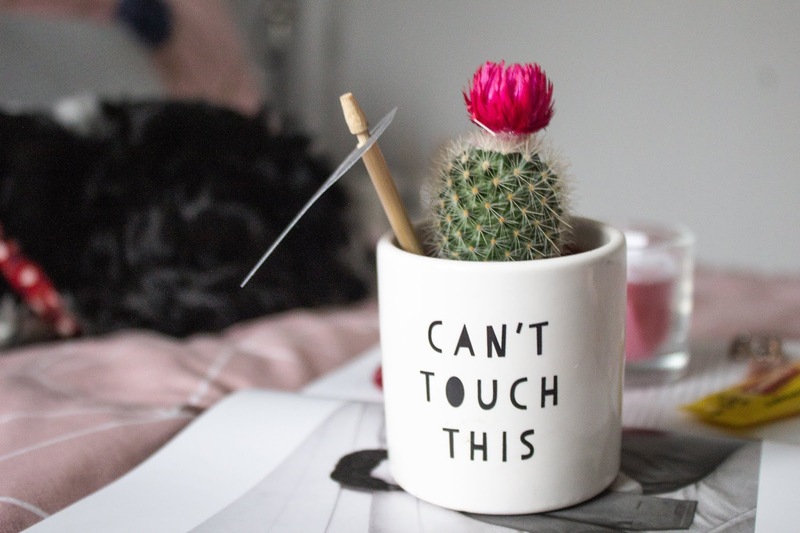 We all love to fill our space with greenery so this cute cactus from Next makes a fab gift to give someone, or at only £5 a great secret santa! Hard to wrap but pop in a cute gift bag, cover with tissue paper and water before you send it out and you'll be all good. Speaking of Next, they also stock the nicest smelling candles for as little as £4, perfect to add on to any gift, or give as a small token. Also lets talk about how cute Loki is?! Lets face it, I couldn't do this and not mention jewellery. 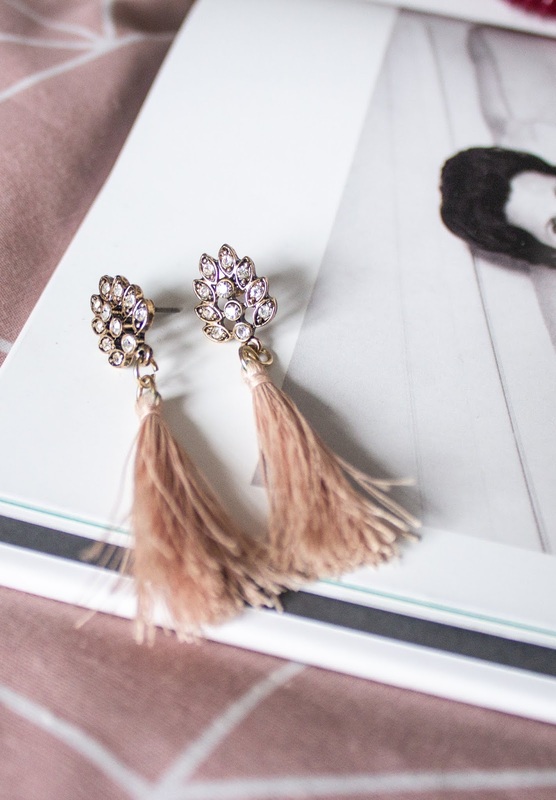 These ones were under £10 from Oasis, but Accessorise also do some amazing ones also, from statement to small studs, they have them all. 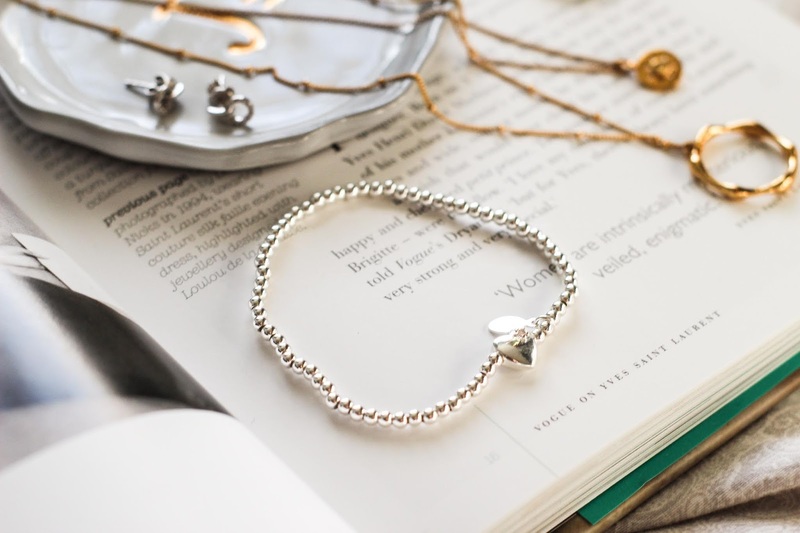 Again with some coming in at under £10 they affordable to give to the fashion lover in your life. On the topic of accessories, we all loose hair bands 24/7, so why not give some as a small gift? These coiled ones which you've probably seen give no kinks and are in theory harder to loose as they are slightly bulkier! Lastly are the beauty picks. This Nails Inc nail varnish I got in Tkmax for £3.99, so super affordable to get as a gift or secret santa. And lets not forget the practicable gifts. 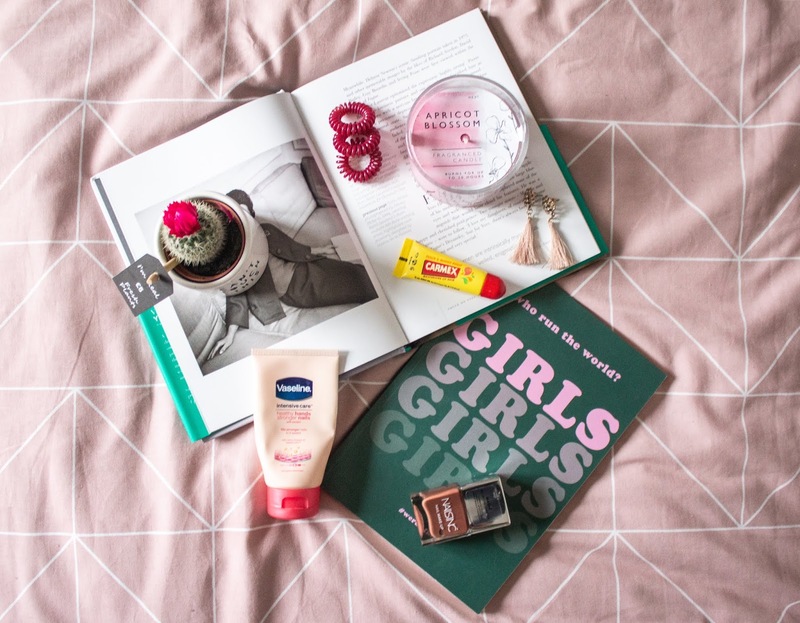 A Carmex and Vaseline hand cream are two of my favourites and why not combine with a few other bits for a pamper gift for any lucky person in your life?! For me, jewellery can bring my outfit together. It is the finishing piece to the puzzle. If I ever go out without some items on, I feel naked like I've forgotten something (tad dramatic but ahh well;))! 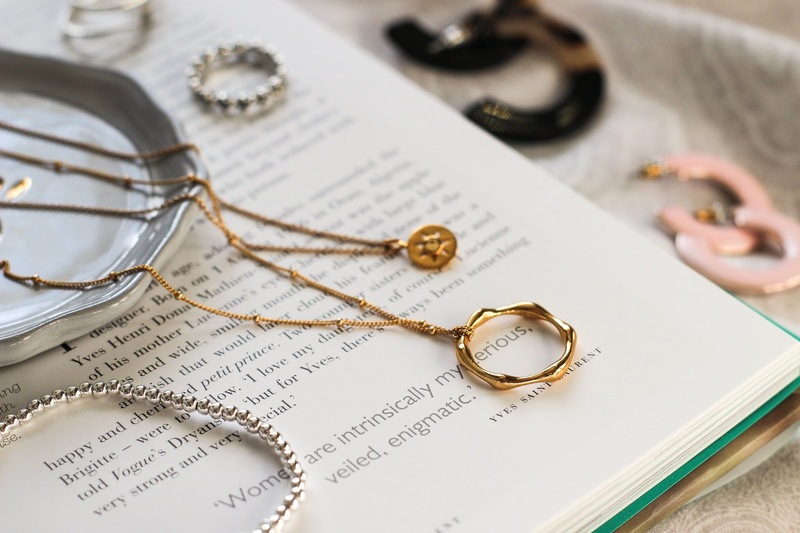 If you too are like me, then a good base of everyday jewellery is a life saver, and something worth thinking about. 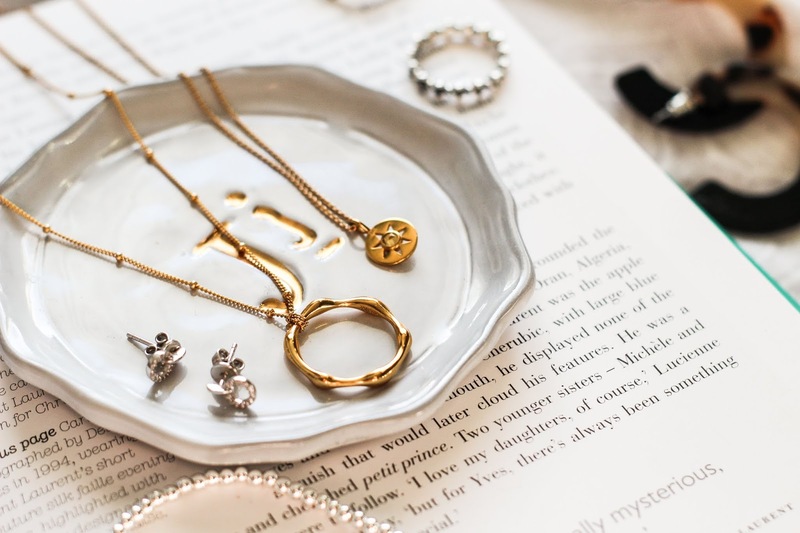 You don't always have to spend loads either; the high street often do simple, dainty jewellery that will match everything you own. I will say a lot of the items I was kindly gifted for my birthday so may not have the details for and didn't buy myself! I feel like the base to my jewellery is my Pandora rings. 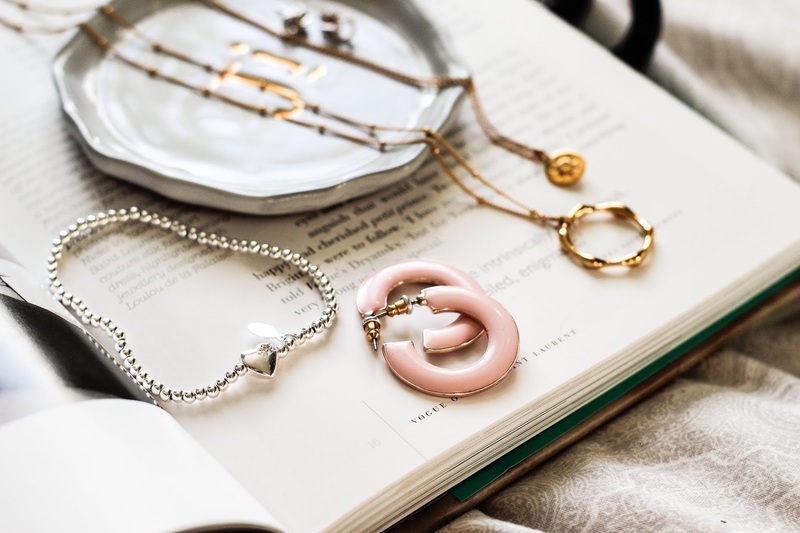 All of which are silver, small and dainty. The flower one I wear on one of my middle fingers and the other two stacked together on one of my index fingers. You can shop them and similar ones at the end of this post along with everything else I mention! Next up is one of my newest additions: my bracelet. Silver again with a heart placed on the beaded chain. It's dainty nature means it isn't annoying on my wrist and sits well under jumpers. I was bought it as a lovely birthday gift, so am not sure where it is from but will link similar ones below! 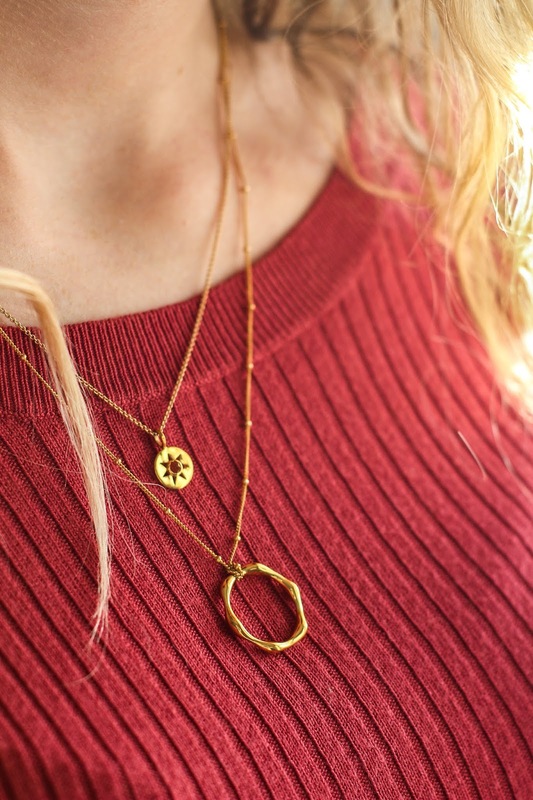 Another beautiful gift was my two Missoma necklaces. A brand so many people have mentioned but since receiving these I can understand why! With countless amazing designs and quality you can't argue with, they really are worth the investment. Last up and my biggest obsession is earrings. I have countless pairs so thought I'd share my current 3 most worn. This include some small studs I was kindly gifted (will link similar), a tortuous shell design pair from Primark and these pink hoops from Miss Selfridge. I buy wayyyyy too many pairs but would still love to know your favourite place to find some gorgeous ones?! Probably one of my favourite purchases of this year: the pink fluffy coat. I bought this gem from Newlook a few weeks ago and haven't looked back to be honest (I also have it in the cream and love that too). I will link it at the bottom of the post along with similar alternatives! The style is a trend that was around last year and has come back again, so hopefully will last a while longer too! The teddy jacket/coat is one that matches so many outfits and is great to add some texture to a simple look. One of my favourite ways to styles mine is with a neutral colour palette underneath, then the pop of pink on top. The jumper is a cropped grey one from Topshop; a staple to have in your winter wardrobe. The trousers are from Newlook and have a thin white stripe running down each side. The style has been around for a while now and I LOVE how comfy and easy to wear they are! For shoes I went simple. I'm wearing my very well loved black and white converse which are in keeping with the neutral colour palette I went for. The other day, I also styled this coat with a burgundy skirt, black top, tights and boots for a meal out and the pink on top looked so nice alongside the autumnal tones! I think one of the biggest trends this season is checks. Along with animal print, they are everywhere and I kinda love it! Scrolling through ASOS and check trousers in particular seem to pop up a lot. To be honest though, they can be quite intimidating to style to me, but I think I've found one of my favourite ways to wear them! Incase anyone else is struggling, I thought I would share how I style mine and some pieces I think work well with any pair. I've styled mine with a cropped sweatshirt from Stradivarius. It's a neutral colour, so a perfect basic piece for your wardrobe every season. Because the trousers are so high wait, it sits nicely above for you to tuck in at the front to show the high detail of the trousers. On the bottom I went for some chunky white trainers from Monki, also anything trend item around at the moment. I like how they add height, and again are neutral so don't make the outfit too busy and will match everything. Then onto the trousers. As I said they are from Bershka and they have orange running through them, adding a subtle bit of colour to the outfit! 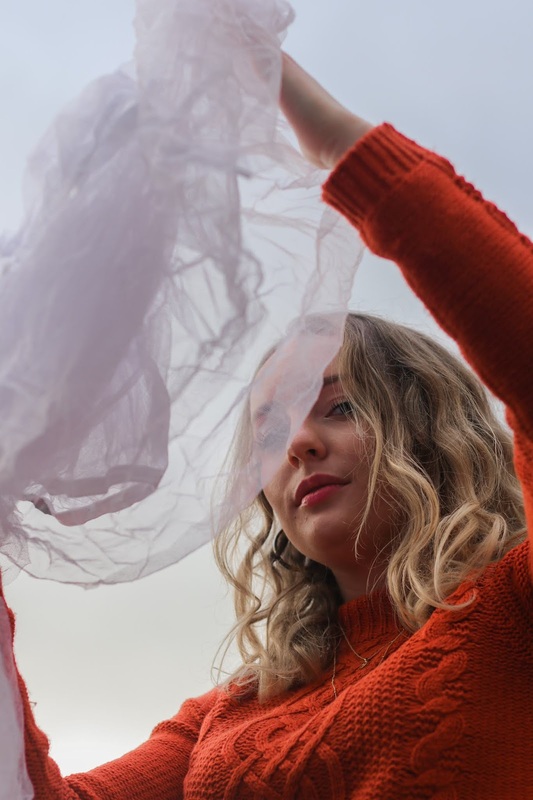 They are quite a thin material, but it means they are comfy and easy to wear throughout the seasons as the weather changes! Finding a perfect base routine is something I've searched for for what feels like forever. Products can be amazing for one person, and just not right for another. However, I feel now I have found something that works perfectly for me and only feel it's right to share it in hope its right for someone else as well! 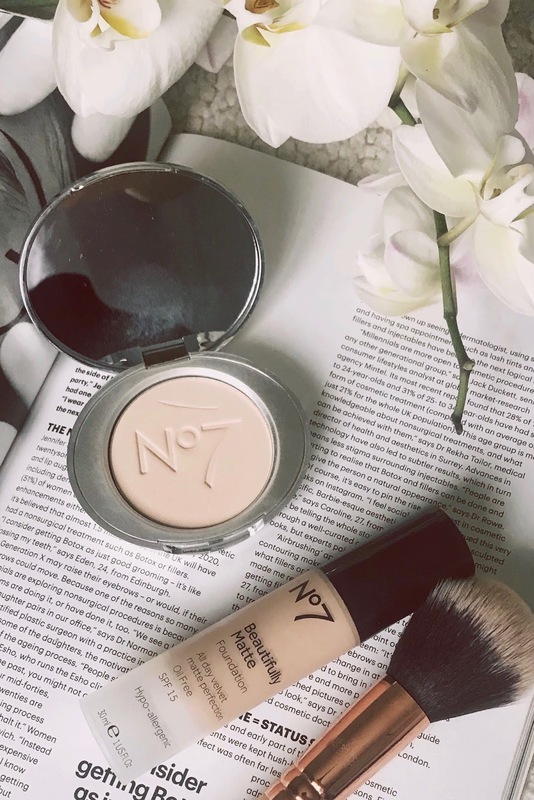 My favourite base comes in the form of the No7 Beautifully Matte Foundation and No7 Airbrush Away Finishing Powder. 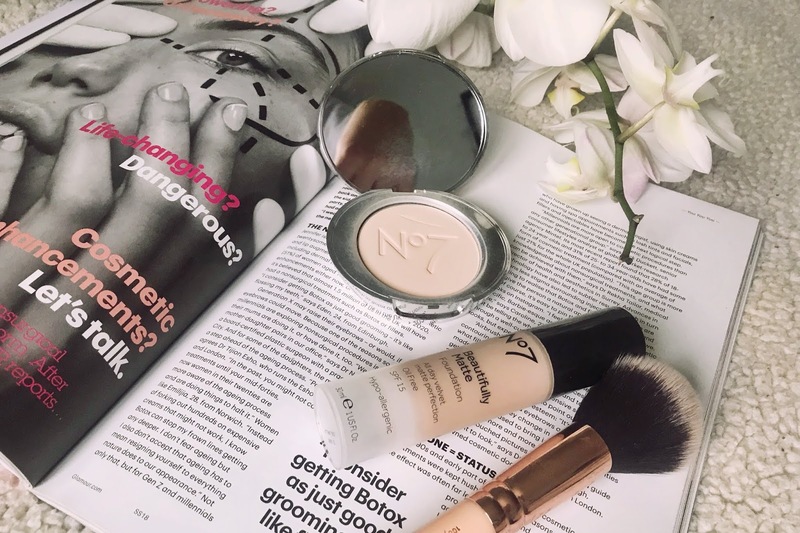 Firstly, the foundation (which I apply with the Real techniques Miracle Complexion Sponge) blends into the skin with ease, leaving it looking smooth. The coverage is medium to full, however it still feels weightless on my skin. The finish is matte, without looking cakey, meaning I can wear it throughout the day and not have to worry about touching it up every two seconds! The powder is then the perfect finish to my base. It sets my makeup in place, absorbs oils to take away and shine creeping in and seems to blur any imperfections. As it isn't cakey, it is perfect for any touch ups you need to make throughout the day! In between these steps, I often apply a concealer under my eyes, but it can vary which one, whereas these often remain the same! 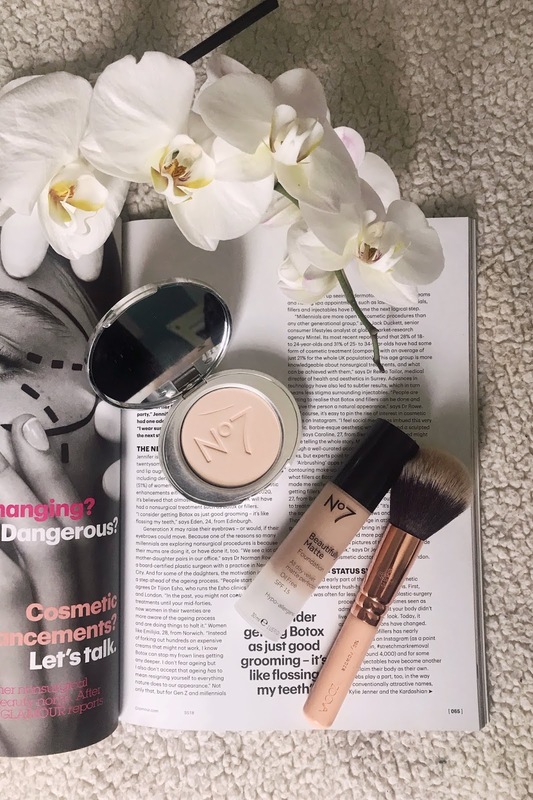 I find that with the foundation, I rarely need to put any concealer around my face due to its high coverage! I hope this helped and gave someone some new base products to try! 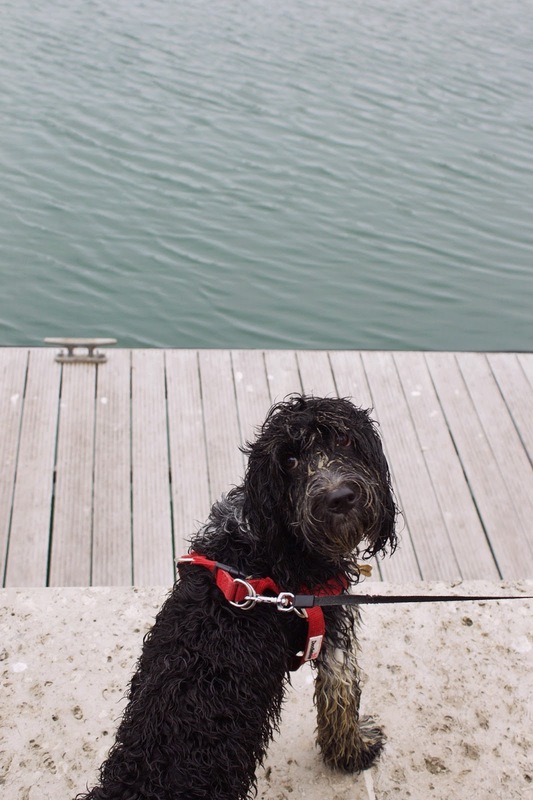 On a slightly windy and dull day, my family and I took my two dogs to the beach at Weymouth for a day out. Whilst Oscar ( our 10 year old miniature Schnauzer) isn't a fan of the water, Loki (our 7 month Cockapoo) loved getting into the sea and then trying to dry off in the sand! It was his first time bless him so he got very excited about it all. 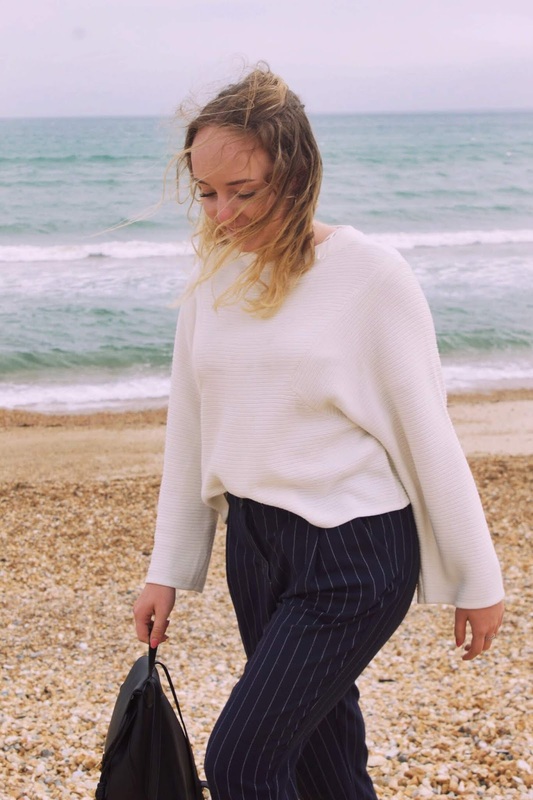 For my outfit, I wanted warmth and comfort, so opted for a staple piece of mine: pinstripe trousers. These ones are from ASOS (isn't everything though;)) and they work for so many occasions. You can dress them up, or style them casually with a simple t-shirt or jumper and some trainers. 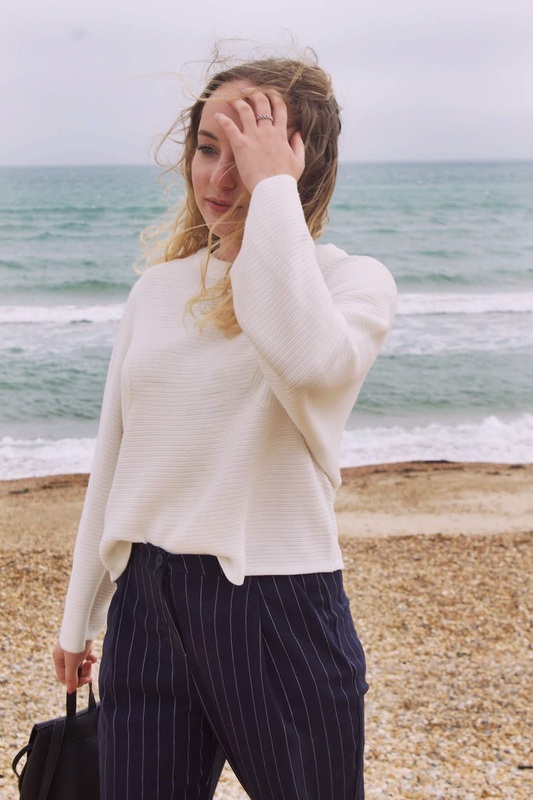 The jumper is last years Topshop but I will link a few similar as you can never go wrong with a cream jumper as it's perfect for all seasons! ps. excuse the very windswept photos it was a challenge to get any decent ones on a very windy coastal day! What are some of your staple wardrobe pieces? For a while now, one of the biggest hair trends has been ashy tones. Whether its going full on silver, or just adding a slight tone to your hair, everyone seems to be aiming for the ashy tones, and I'm definitely no different! There are so many products in the hair care world which is amazing as I love trying new things, yet very confusing when you are searching for something in particular and don't even know where to start. In the hope of helping someone, I've decided to share my go-to products when aiming to bring out the cooler tones in my hair. The first product I discovered from this range was the Brightening Shampoo. It is a toning violet pigment which aims to reduce the brassy tones within blonde hair. I first used it after an aim to balayage my hair didn't quite look how I wanted, so needed something to tone my hair back to an ashy tone. 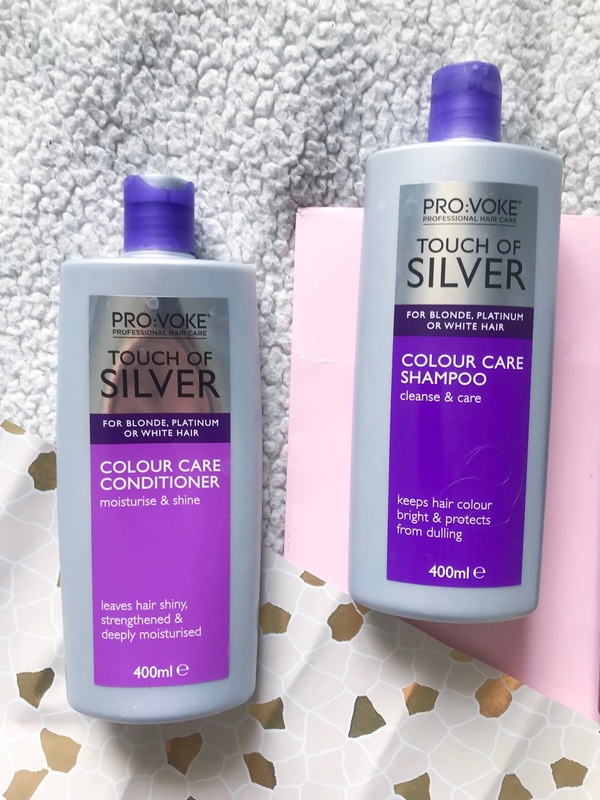 This worked amazingly and calmed me down when I went into panic about how my hair looked (lets face it I probably over reacted to the situation but this stuff did work MAGIC!). You leave it one for around 5 mins once applied, then wash it off. It can be used up to twice week and I couldn't recommend it enough. 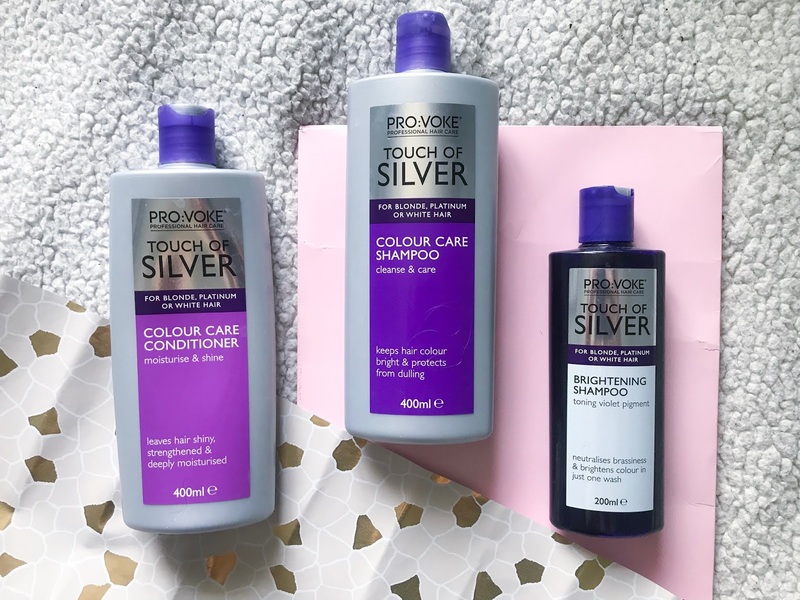 For my every other day hair washes, I use my trusty Touch of Silver Colour Care shampoo and conditioner. 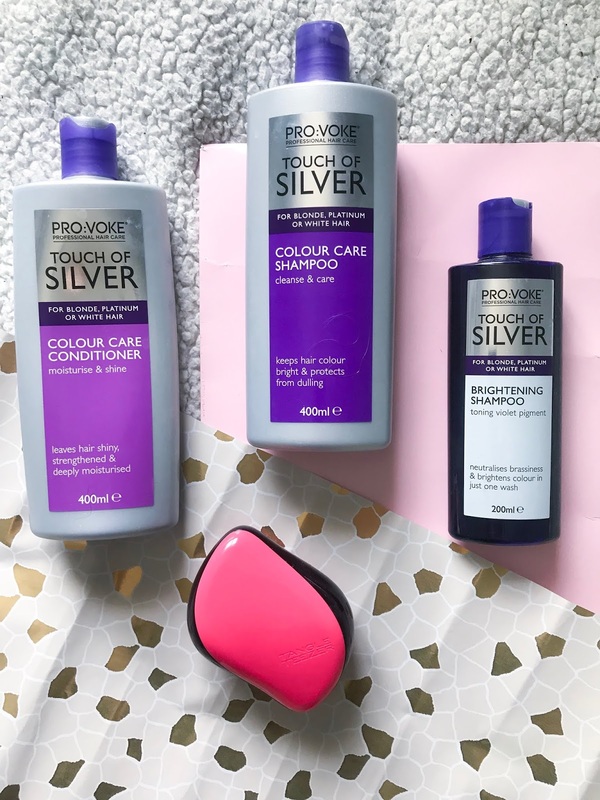 Whilst strengthening and moisturising my hair, they also maintain the colour the brightening shampoo creates. They're so affordable and these bottles last for so long as a little product goes a long way. I'll admit it now that I have an obsession. I buy way too many earrings and never feel like I have enough. 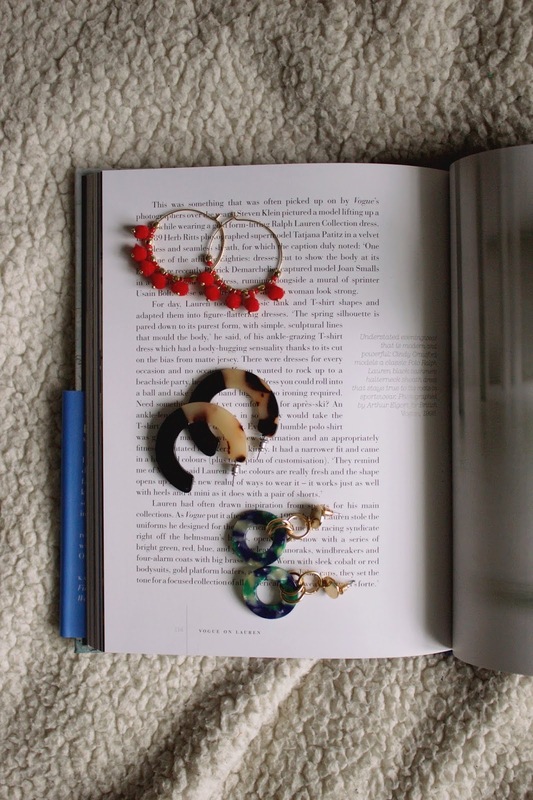 For a while now, statement earrings have been everywhere which I love, but they can be so daunting to wear! 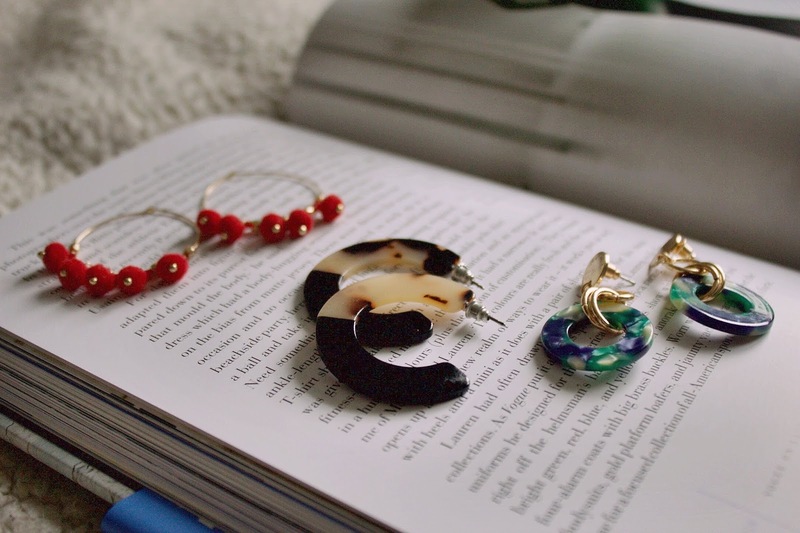 Because of that, I thought I'd bring together three of my favourites statement, yet not so scary ones from three different shops that all sell a variety of amazing earrings for everyone. 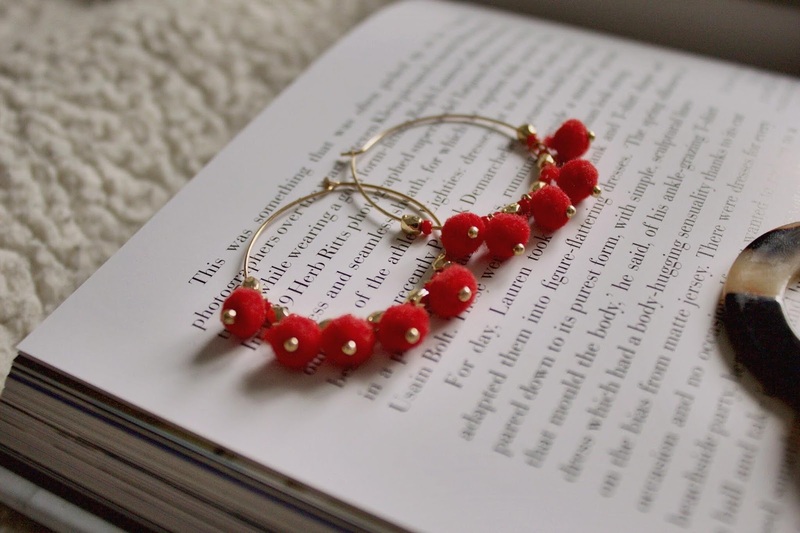 The first pair are these red pom pom hoops. The colour adds a statement to any plain outfit or is the perfect way to create a more subtle look to match the colour clash trend. They're from new look and cost around £3 which you can't really go wrong with. They're actually rather small making them less daunting to wear, but the colours makes them pop when in your ears. Sadly, I can't find them online but i've link some similar ones here and I'd recommend looking in store and in Primark for similar styles as well. Nest up are these tortoise shell hoops from Primark. 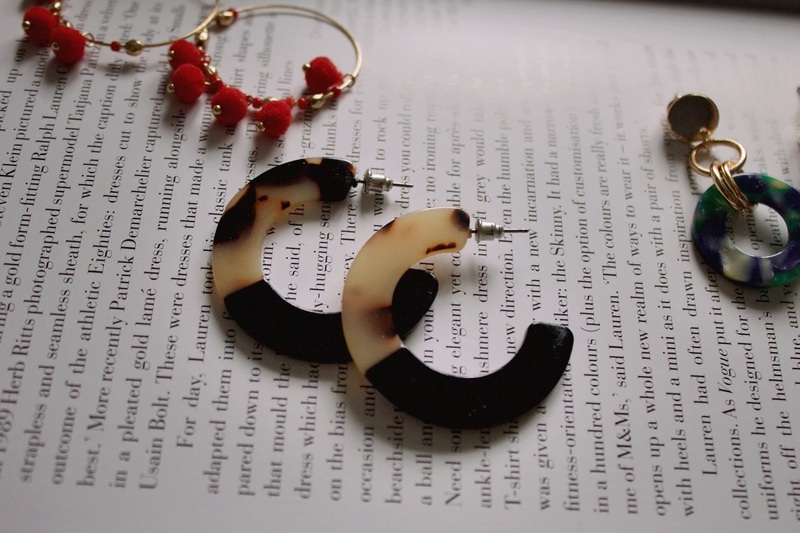 At only £2.50, their monochrome colours allows them to match almost any outfit. 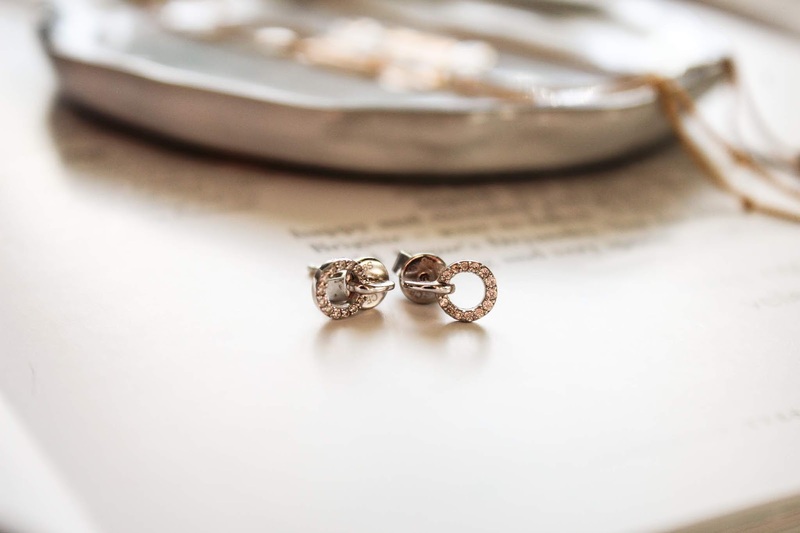 They are my favourite to pop with any basic outfit to add a subtle statement and some detail. Lastly are these blue, green and gold ones from Oasis. 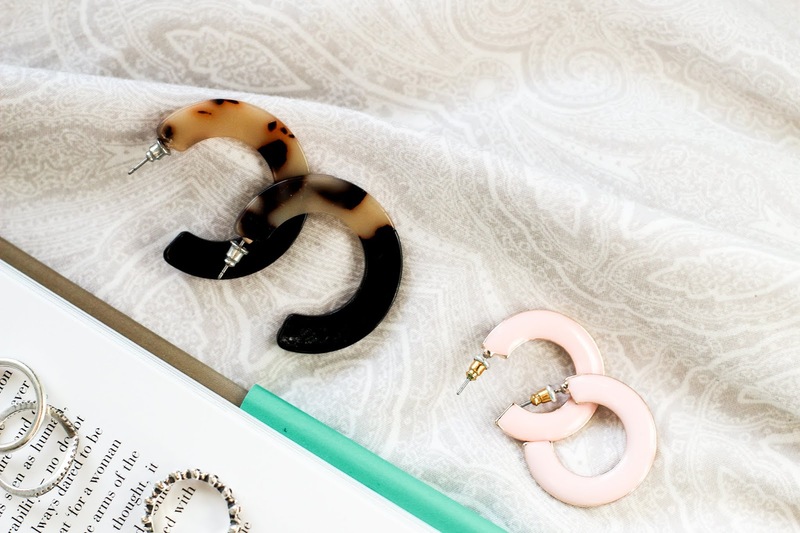 Again, they are not too big so are relatively easy to wear, yet their colour and shape adds interest to any outfit. I love how the colours compliment all the autumn/ winter tones and add some subtle colour to more neutral colour palettes. 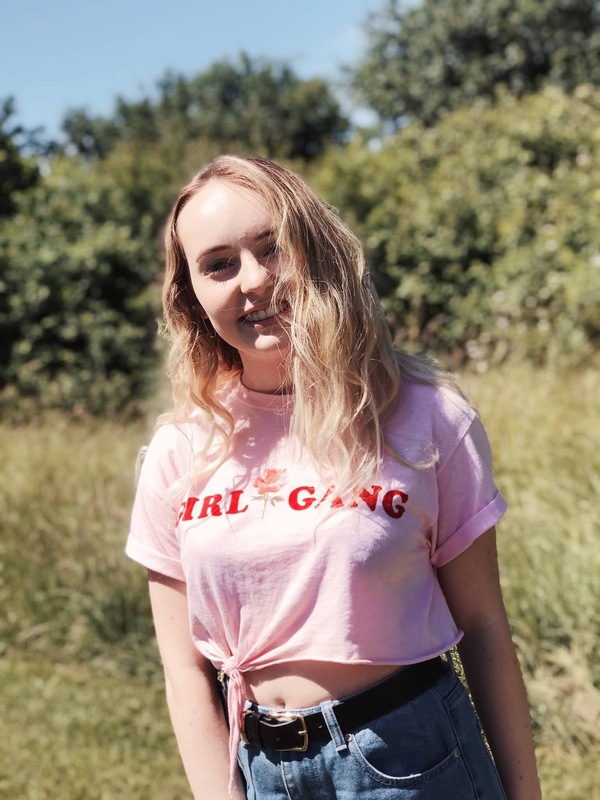 Hi, I'm Jess, the creater of this little site. You might have noticed there isn't really much to see right now, but I'm hoping to change that ASAP! 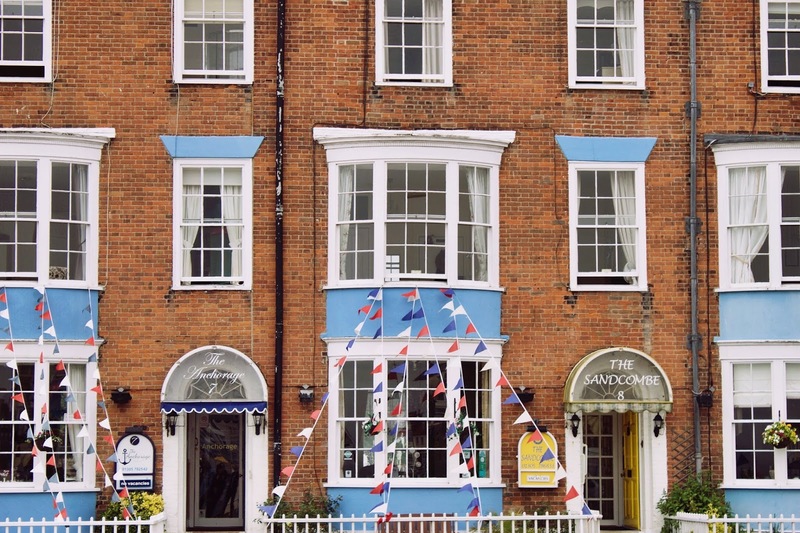 I admittedly have a couple very old posts still going (who knows how long they'll stay though) that I wrote almost two years ago, but I've finally decided to give this a go 'properly' you could say. 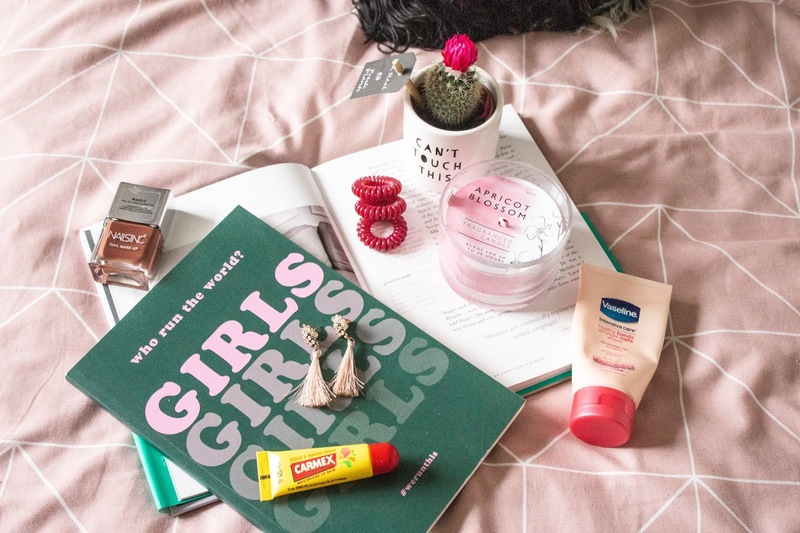 I've always had a love for fashion and beauty and thought combining it with my love for writing was the perfect thing to do (as cliche as it sounds but hey ho). 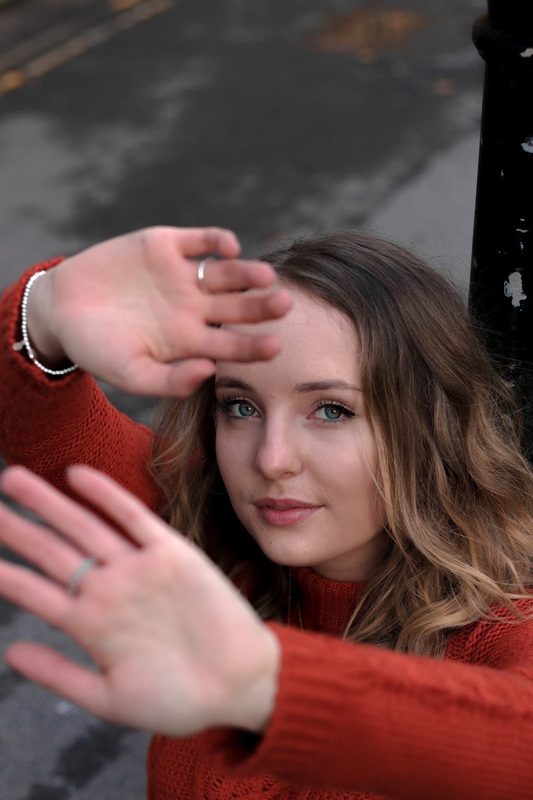 Over the years, I've been a big fan of this side of the internet, so mix that with a love for being creative and and a need for a new outlet, it only seems right to give creating my own content a go! Another thing I love is editorial content, whether it be a blog or magazine. From the designs to the words inside them, ever since I was younger I always remember thinking how amazing it would be to contribute to creating a magazine. 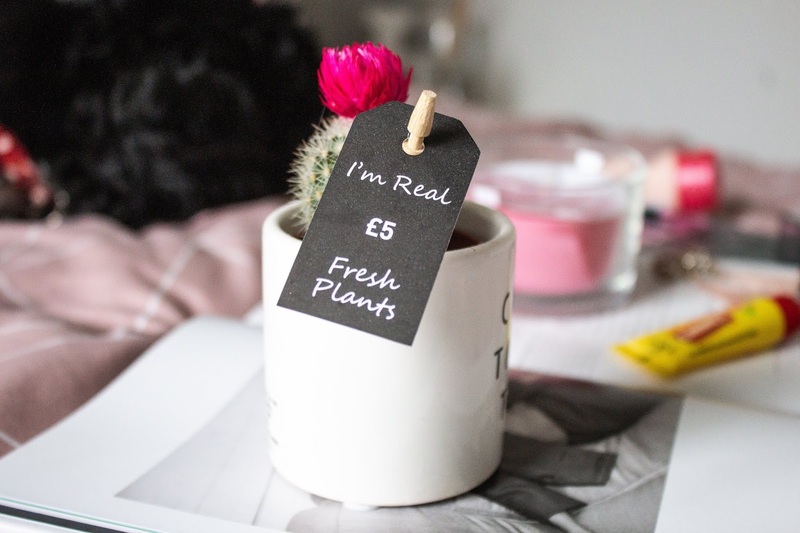 As time had moved on, so has editorial content and whilst I still love a hardcopy magazine, we have now found a way to share the same message online easily. I'm excited to get stuck in to creating my own content about topic I love! On this site, you'll catch me talking about all things clothes, makeup, skincare and more. I want it to be a hub of all the things I love, whilst creating content others will enjoy and hopefully gain something by reading. Please bare with whilst everything is a work in progress!